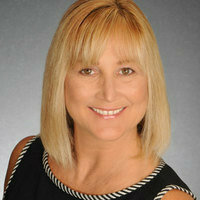 Doris Monticone was a wonderful realtor for my husband and I. She was very professional and so knowledgable about the real estate market in our area and how to get the most from our house that we sold. She helped us with tips on staging and then we got full asking price which was more than my husband and I ever expected. Then she helped us find a new home. She was fun to work with and had so many great ideas on making a property fit our needs. She really did her due diligence in finding the best value, negotiating with the other realtor for the absolute lowest price. She was there for the home inspection and helped explain many things.